At Ocean Life Education, we love to talk about Sharks! We think public education is key when it comes to safety in the water and in understanding these commonly misunderstood predators. We recently teamed up with Channel 10’s Totally Wild to clear up some of these common misconceptions. In this segment, we look at why people encounter sharks, why sharks make mistakes and how best to avoid contact with sharks. Sharks are important to the marine ecosystem. Without them, the ocean’s ecosystem would collapse so we need to learn to live with them to maintain a healthy ocean. 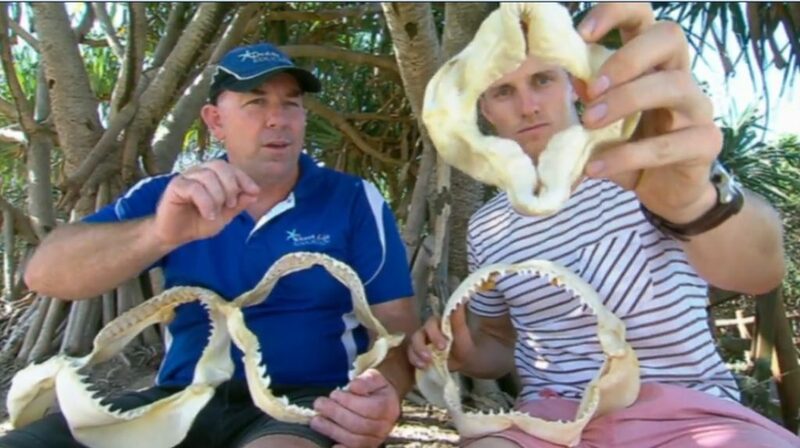 Catch Richard on Ten’s Totally Wild below. Skip forward to 1.54secs – there’s some really cool info in here and we’d love to hear from you below about what you thought, or even what you learnt! If your students love sharks, you can book our Shark Discovery program for vacation care where we talk more about all of this and more! This entry was posted in Media and tagged media, richard, sharks, totally wild, tv on February 23, 2016 by oceanlifeeducation.